How many times you have looked at the tube of sunscreen and thought f**k it, my foundation has some SPF. I know I did that way too often. It’s hard to find a sunscreen that wouldn’t make you feel like you rubbed some butter on you face. Well, my great dislike for the sunscreens suffered a quick death. That is, I found an awesome one. It doesn’t make you look greasy, doesn’t make you feel greasy and actually mattifies your skin. Somewhat. After application, my skin looks more like velvet, but it does hold up and doesn’t make me extra oily during the day. Whoop whoop! 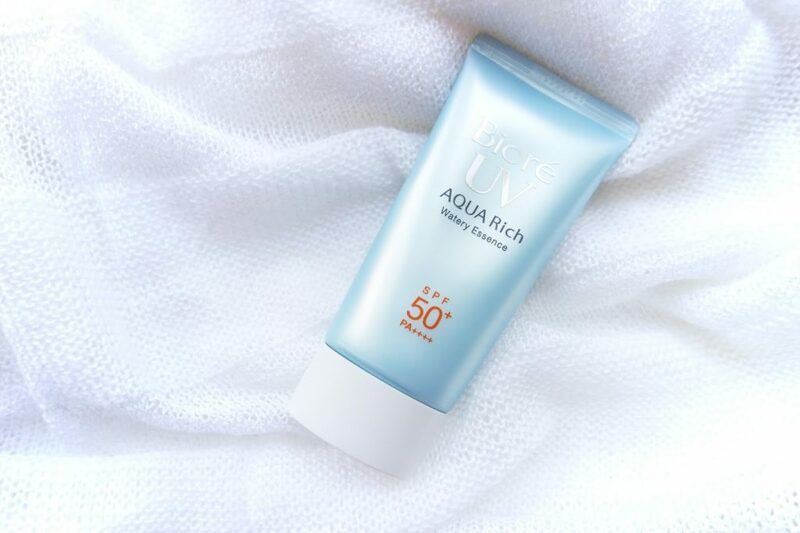 The one I am talking about is BIORE Aqua Rich Watery Essence SPF 50+ PA++++ (you might get it on eBay here – link). I was looking for a good sunscreen for a long time and after being throughout disappointed with western offers I figured I’ll give Japanese ones a go. And what a great decision it was. It’s great for an oily or combination skin. I think it should work for a dry skin types too as it doesn’t feel drying at all. Check it out if you are in a need of a lightweight sunscreen, have an oily skin that can’t handle western sunscreens or just looking for a great one to wear under your makeup. Awesomeness guaranteed.